People with risk of vision loss "should be regularly checked"
People who have an increased risk of vision loss should ensure that they regularly have their eyes tested, one expert has stated. Dr. Emily Chew, deputy director of the National Eye Institute"s Division of Epidemiology and Clinical Applications, said that people with conditions such as diabetes have an increased risk of developing vision problems so it is vital that they regularly undergo assessment by an expert. 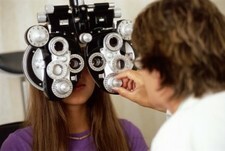 "There are diseases that actually steal your vision but very quietly and without any fanfare. You don"t even realise it," she said. The expert added that it can be tempting to postpone or cancel an eye exam, but when people"s long-term sight is at risk, it is not a good idea. It comes after specialists at the University of Iowa recently claimed that cost-effective computerised systems to detect early eye problems related to diabetes can help meet the screening need.